How Can A Holistic Cancer Treatment Center Help You? What does a holistic cancer treatment center offer that conventional medicine can’t compete with? More often than not, conventional medicine’s ‘war’ against cancer can become too strenuous for a patient, as even the healthy cells are attacked, thus causing the immune system to be weaker. It’s a double-edged sword that further devastates patients and their families. 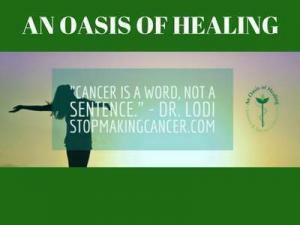 And it’s a dilemma that holistic cancer treatment centers, like An Oasis of Healing, are trying to eliminate. Enhance the immune system through immuno-oncology therapies and modalities such as yoga, meditation and juice feasting/fasting. Why should you consider a holistic cancer treatment center? In An Oasis of Healing, the customized treatment program has a holistic goal. Healing is just the first step. The bigger goal is to change the biochemistry of the body to a state of health where cancer cells will no longer thrive. A holistic approach to cancer treatment means that patients are provided with tailor-fit support to heal, repair and recover—physically, emotionally and mentally. This approach to cancer treatment is not new. 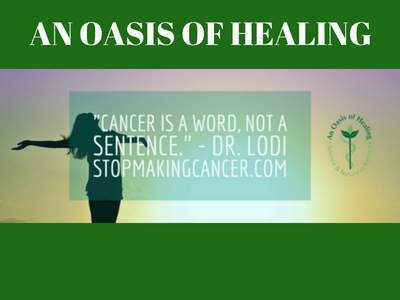 In fact, as a holistic cancer treatment center, An Oasis of Healing has helped hundreds of patients reclaim their health through a comprehensive cancer care program. Abu Dhabi-based Christine was cleared of colorectal cancer by her conventional doctors after a traumatic experience with chemotherapy, radiation, and surgery. In less than 12 months, her cancer returned. She was now dealing with Stage 4 lung cancer. Not wanting to go through the same ordeal with conventional treatments, she went to Switzerland and researched more about alternative treatment centers. And then she discovered An Oasis of Healing. The experience was literally, and figuratively, life-changing. Christine felt a sense of agency—that the treatment was a journey towards taking control of her own health, instead of something being forced upon her. At An Oasis of Healing, she met highly skilled medical professionals and good people who listened to her and managed to make her feel “loved and welcome,”—a simple yet powerful feeling for cancer patients. Learn more about Christine’s journey here. In 2013, Edie of Tucson, Arizona, was diagnosed with breast cancer. She underwent conventional cancer treatments but two years later, her cancer marker numbers went up again. She tried ‘safe chemo’ but with no success—her markers remained high. Finally, she decided to go to a holistic cancer treatment center after watching Dr. Lodi’s videos. Edie was almost hopeless when she arrived at An Oasis of Healing but that quickly changed. Three weeks into treatment, her cancer markers dropped. She is determined to continue her personalized treatment program and is learning ways to, not just defeat cancer, but change her life for the better. Learn more about Edie’s journey here. What can you expect at a holistic cancer treatment center? 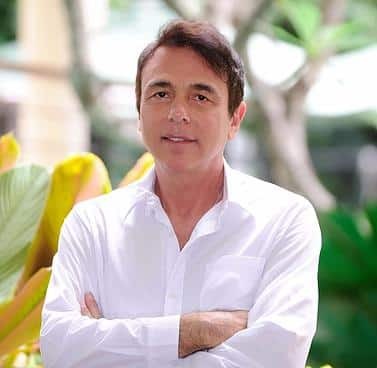 Depending on your unique health situation, doctors and experts at An Oasis of Healing will recommend scientifically proven and advanced treatments or integrative healing modalities that work naturally with the body, and that is based on a deep respect for nature. These can include chelation therapy, ozone treatments, intravenous hydrogen peroxide, intravenous vitamin C or metabolic medicine. The first step is to open your mind to possibilities beyond conventional treatments. Watch the videos. Read the testimonials. Ask questions. Reach out to us now and let’s find out how we can help.